Hotel rates for the bowl games have reached up to $500.00 a night. Vacation rental properties are a great option for those who still need last minute bowl game lodging and the prices start at just $80.00 a night! You will also get more space with a vacation rental, as most include a living room and kitchen in addition to a bedroom. More space and less money= more fun on your vacation! If you still need lodging for your college bowl game, act FAST as we are seeing our vacation properties being booked up every minute! With some of the games falling on or around the New Year holiday, it is even more important to book immediately to ensure you will be able to cheer your team onto victory! We currently have just 22 properties available during the Rose Bowl! We have options ranging from studio condos to three bedroom private homes. So bring your spouse or the entire family to enjoy the game and the comforts of a vacation property during your stay. Here are a couple options, but be sure to visit our website to see the rest! This Malibu Beach house has 3 bedrooms and 3 bathrooms and is beautifully furnished with everything you need to prepare your tailgating food and beverage! Relax at the end of the day on your oceanfront deck and fall asleep to the sound of the waves! This Hollywood studio apartment has a bedroom and living room combination as well as a separate kitchen and bathroom. Plenty of space for two people and is only $115.00 a night! 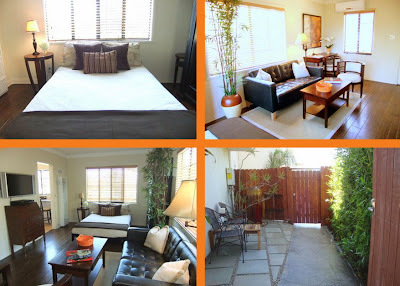 The location is fabulous, right in Hollywood Hills just a few minutes walk to the heart of Hollywood. Visit the Hollywood Walk of Fame, many famous theaters, Universal Studio and more! The Phoenix area is booking up, FAST! If you see a property that will work for you book right away as there are only 4 properties remaining! We have condos ranging from studio to 2 bedrooms, in great locations! Relax in your spacious vacation rental, take a dip at the pool and enjoy a round of golf! Here are two of the available properties, see the rest at our website! 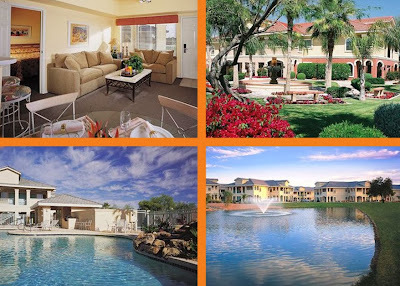 This 2 bedroom 2 bathroom villa condo is located at the Westgage Painted Mountain Country Club in Mesa, Arizona. Beautiful views from your deck or patio, whirlpool bathroom tub, outdoor pool, hot tub and fitness center are all included for your stay! This 1 bedroom 1 bathroom vacation condo is located at the Scottsdale Links Resort. Enjoy your elegantly appointed condo with full kitchen, patio and of course the TPC Desert Golf Course and the breathtaking views of the McDowell Mountains! Other amenities are an outdoor pool, jacuzzi exercise facility and free parking! 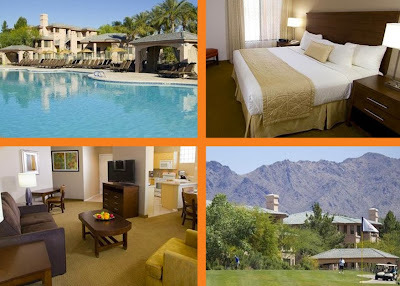 What more could you ask for in your accommodations for your football bowl trip! Who wouldn't want to head to Miami for a college football bowl game?! That's right, everyone wants to go and that is why there are only 7 properties left! Miami Beach is the place to be year round, and even more so when a sporting even is taking place. Choose from studio condos to 2 bedroom condos for your bowl game accommodations. Prices start at just $80.00 a night! 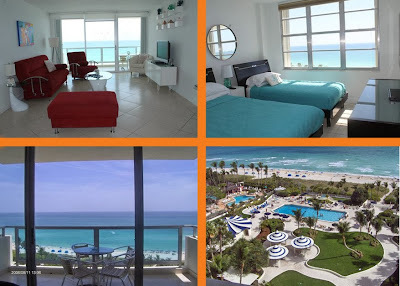 Here is a great condo if you need to sleep 6 people and want a Miami beach oceanfront condo! This luxury condo is located on the Famous Millionaire Row, with amazing views, oceanfront pools, a tiki bar and more! These are just a few of the College Football Bowl games! We have properties in most of the cities the bowl games are located at such as: Las Vegas, Jacksonville, Orlando, Tampa and MORE! If you don't see your bowl game location here, please contact us or visit our website for more vacation rental properties! Have a great time on your vacation to the college bowl games- GO FIGHT WIN!